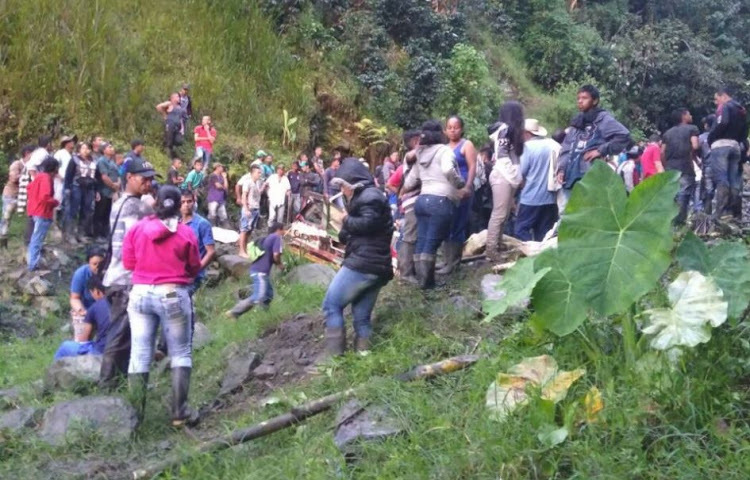 At least 14 people were killed and 35 injured when the bus they were traveling in plunged down a ravine in rural northwestern Colombia, officials said Sunday. The bus skidded off the road when the driver swerved in an attempt to avoid hitting a motorcycle rider, Sabanalarga Mayor Cesar Cuadros told reporters. The Sabanalarga hospital could not cope with the sudden influx of victims, most of whom were local farmers, so many of the survivors were rushed to nearby towns for treatment. "We are going through a cold period and it has rained heavily," Cuadros said. "We are not clear how many people traveled aboard the bus, but we know that there were a lot," he said.